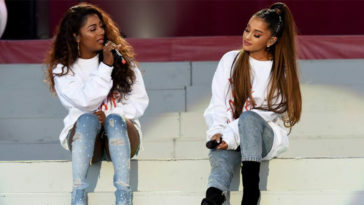 Over the last several months, pop singer Ariana Grande has virtually taken over every single music chart by exposing her personal life, relationship problems, and struggles through insanely catchy music. 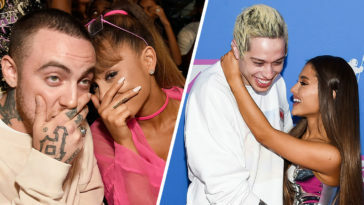 The popularity and obsession with the singer took off after her very public engagement and break-up with comedian Pete Davidson. For a while, people were worried about Davidson, as he took the breakup pretty hard. Everyone was blaming Grande for his emotional breakdowns, where he even threatened suicide due to the backlash he had gotten from fans. 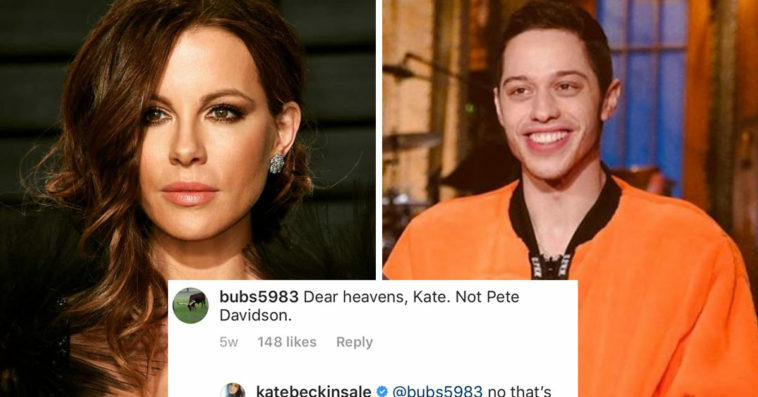 But, while everyone has been talking about Grande and her success, or blaming her for Davidson’s emotional struggles, Davidson decided to “let this sh*t go” and move on with actress Kate Beckinsale. People have been talking about his “comeback” all over social media. According to reports, the two were close and comfortable with each other at Golden Globes afterparties last month. Sources reported they were “flirty,” and left the party at the same time. Ou, scandalous. Since pictures of the two leaked online and everyone has been talking about their new “relationship,” fans and haters have been trolling the sh*t out of Beckinsale’s social media accounts. As Davidson deleted his after his public breakup with Grande, Beckinsale is basically getting all the brunt of their hate. But, Beckinsale isn’t letting haters going to get the best of her. 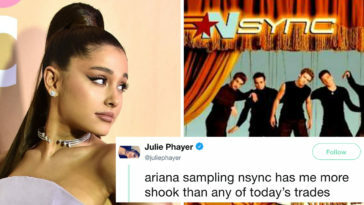 In fact, she decided to clap back at all of them by trolling them right back. 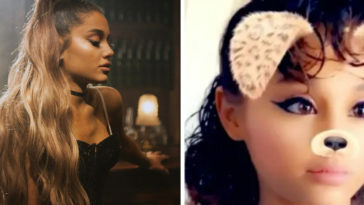 She even responded to some of the haters with hilarious comebacks and honestly—I’m a fan. 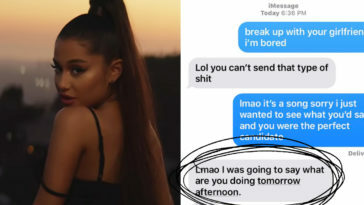 And, this fan who begged that it wasn’t Pete Davidson. And, this fan who mistook a painting of Freddy Mercury as Pete Davidson. Way to show them you DGAF, Kate.